A. Duie Pyle is the Northeast's premier transportation and logistics provider, with extended Less-Than-Truckload (LTL) service coverage into the Southeast, Midwest, and Canada. “Pyle People Deliver” is its corporate promise to customers that outstanding service will always be its first and foremost mission. A family-owned and operated business since 1924, A. Duie Pyle provides a complete range of integrated transportation and distribution services. 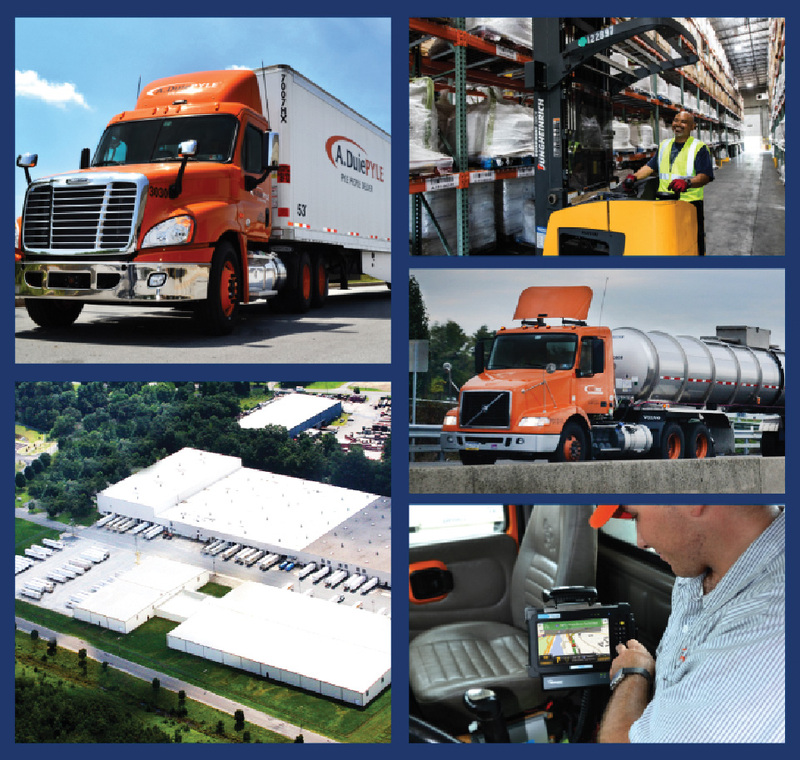 A. Duie Pyle operates 22 LTL Service Centers strategically located throughout the region. A. Duie Pyle’s Customized Solutions Group provides a variety of asset and non-asset based supply chain solutions, including specialized truckload services through its Truckload and Brokerage Solutions, integrated Warehousing & Distribution services through 9 facilities and more than two million square feet of public and contract warehousing space, and Custom Dedicated fleet operations.